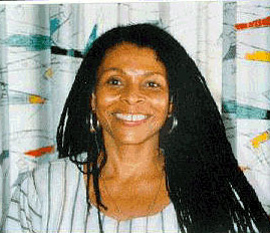 WASHINGTON (FinalCall.com) – The U.S. cold war with Cuba is showing sights of being over and as relations appear to thaw, a growing campaign is calling for the pardon of Black Liberation Army activist Assata Shakur who has lived in exile in Cuba since 1984 years after she escaped from prison where she was sentenced to life for the murder of a New Jersey State Trooper. That’s what the New Jersey State troopers want. “We view any changes in relations with Cuba as an opportunity to bring her back to the United States to finish her sentence for the murder of a New Jersey State Trooper in 1973,” State Police Superintendent Col. Rick Fuentes said in a statement. Last year during an interview on “Democracy Now!” Lennox Hinds, longtime lawyer of Assata Shakur and member of the National Lawyers Guild remarked that the Cuban government granted Assata Shakur political asylum based on a firm grounding in international law, namely the Refugee Convention. There are precedents for U.S.-friendly nations that have refused to extradite American fugitives who have fled the U.S. 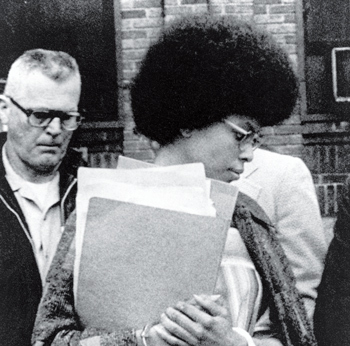 In 2013 the FBI placed then 65-year-old, Assata Shakur on their most wanted list, the first time a woman had been placed on the list and increased the bounty for her to $2 million. “Now, what is the basis for that? It is if an individual has a well-grounded fear that if they return to the country from which they left, they would either be persecuted or prosecuted based upon their political beliefs or/and their race or religion,” Mr. Hinds noted. He explained that in the 1970s, Black Panthers hijacked planes and went to France. France—an American ally which has signed international extradition treaties with the U.S.—conducted its own investigation and concluded the Panthers would be subject to racial and political oppression if they were returned to the States. As a result, France refused to extradite the Panthers. Others are calling for her to be pardoned. Change.org has started a campaign to collect 100,000 signatures to deliver to the White House and to Governor Chris Christie. “There is much more to the issue than her deserving a pardon. Even if she were pardoned, she would not be safe here,” Zayid Muhammad chair of the New Jersey Black Panther Party told The Final Call. In 1973 an incident of what would now be called “racial profiling” takes place on the New Jersey Turnpike. Ms. Shakur, actively involved in the Black Liberation Army (BLA), is traveling with Malik Zayad Shakur (no relation) and Sundiata Acoli. State troopers stop them, reportedly because of a broken headlight. A trooper also explains they were “suspicious” because they had Vermont license plates. The three are made to exit the car with their hands up. All of a sudden, shots were fired. That much everybody seems to agree on. Shots were fired and when all was said and done, state trooper Werner Foerster and Malik Shakur were killed. Ms. Shakur and Mr. Acoli were charged with the death of state trooper Foerster. “I was shot with my arms in the air. My wounds could not have happened unless my arms were in the air. The bullet went in under my arm and traveled past my clavicle. It is medically impossible for that to happen if my arms were down,” Ms. Shakur told The Final Call in an exclusive interview. She spent six and a half years in prison, two of those in solitary confinement. In 1979, she was liberated by comrades in a daring escape that continues to infuriate the New Jersey State Troopers. There was a nation-wide search for her. In 1984 she went to Cuba. “Clearly, the federal government is continuing the unrestrained abuse of power by which it attempted to destroy Assata Shakur and other Black individuals and groups by surveillance, rumor, innuendo, eavesdropping, arrest and prosecution, incarceration, and murder throughout the sixties and seventies,” said Mr. Hinds. President Obama will soon receive the hundreds of thousands of signatures calling for the pardon of Assata Shakur. This entry was posted on Thursday, January 8th, 2015 at 2:09 pm	and is filed under Other Articles. You can follow any responses to this entry through the RSS 2.0 feed. Responses are currently closed, but you can trackback from your own site.